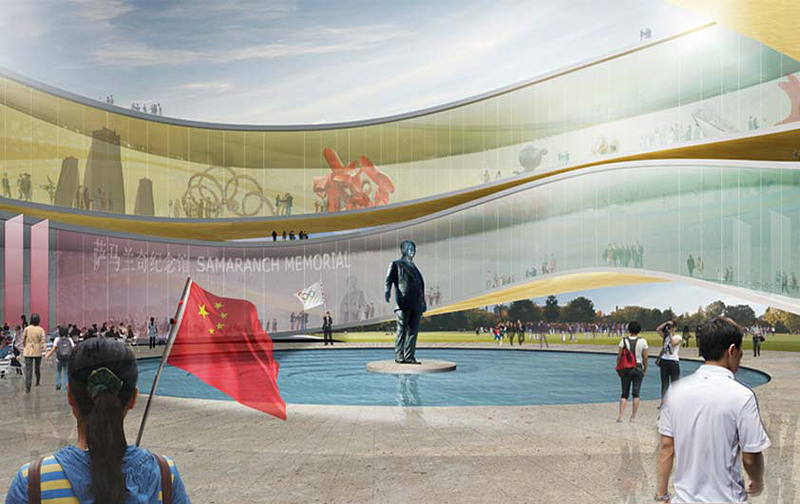 Holm Architecture Office (HAO) in collaboration with Archiland Beijing and Kragh & Berglund landscape architects, has won first prize in a competition to design the Samaranch Memorial Museum in Tianjin, China. Juan Antonio Samaranch of Spain was the president of the International Olympic Committee from 1980 to 2001. Throughout his presidency he advocated for reform and inclusion and was a strong supporter of China's bid as host city for the 2008 Olympic Games. Tianjin, a city of over 12 million people in northwestern China near Beijing, was the site of several Olympic events. 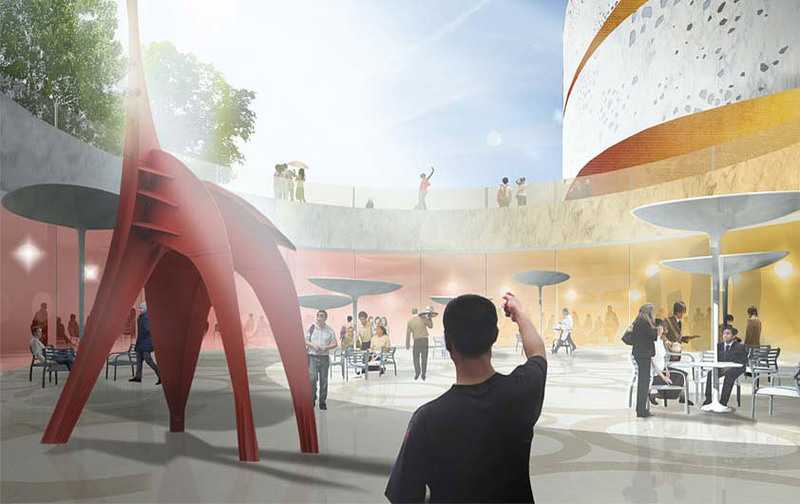 The new museum and memorial will both highlight Samaranch's professional history and look to the future, offering space for rotating exhibits of contemporary art and culture. 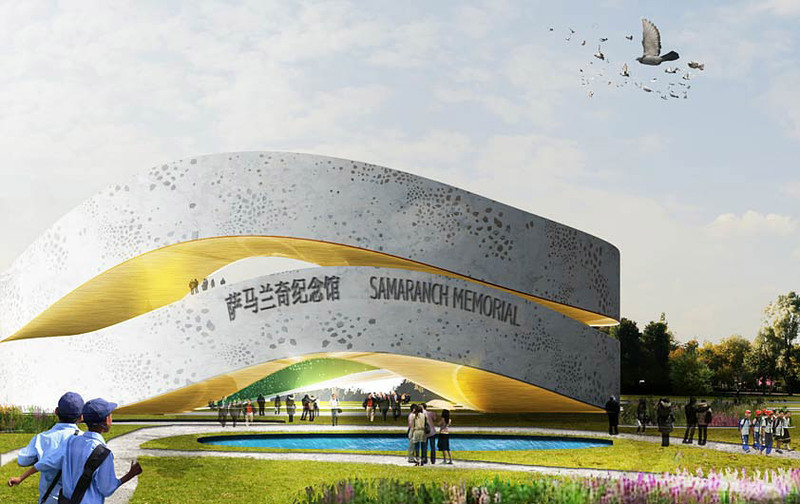 "With the design of the Samaranch Memorial Museum we propose to merge two existing typologies: the memorial and the museum," said Jens Holm, HAO founder and principal. 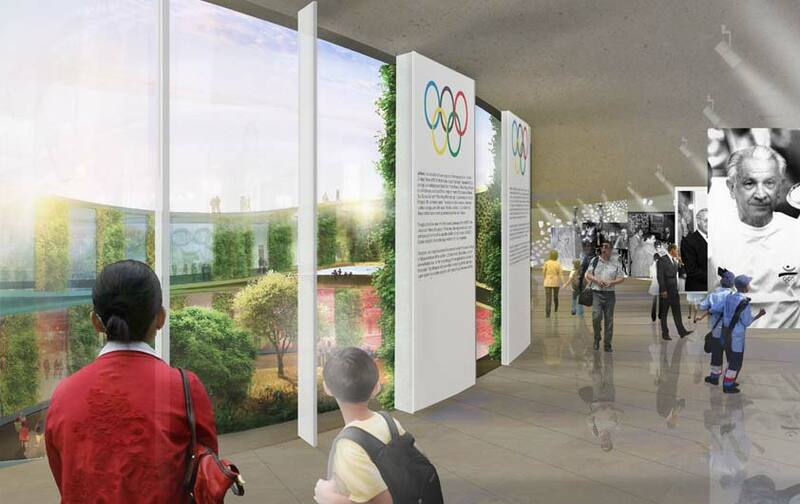 "This new combination allows the building to both honor the life of Juan Antonio Samaranch while simultaneously creating a place that focuses on the true legacy of the Olympics—creating of opportunities for people to meet and celebrate across cultural and geographical boundaries." 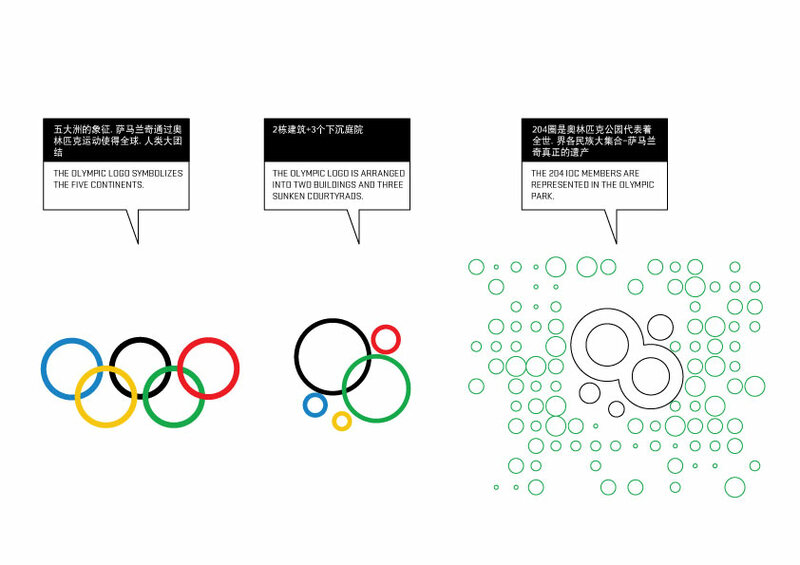 The five interlocking rings of the Olympic symbol serves as the foundation for the 25,000 square meter (250,000 square foot) building design. 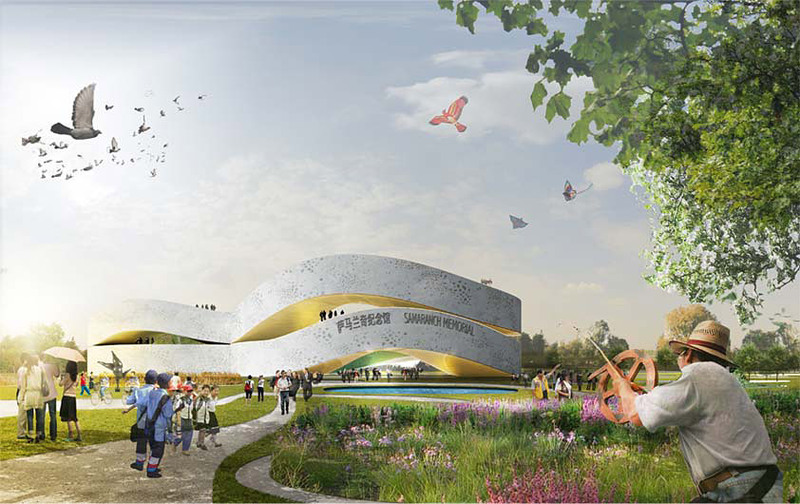 By re-arranging the rings and varying the scale, the HAO design creates a museum consisting of two rings above ground with three sunken courtyards. The two main rings serve as counterparts in the story of the life of Juan Antonio Samaranch. The first ring invites visitors in through a public courtyard, lifting them onto a circular ramp. 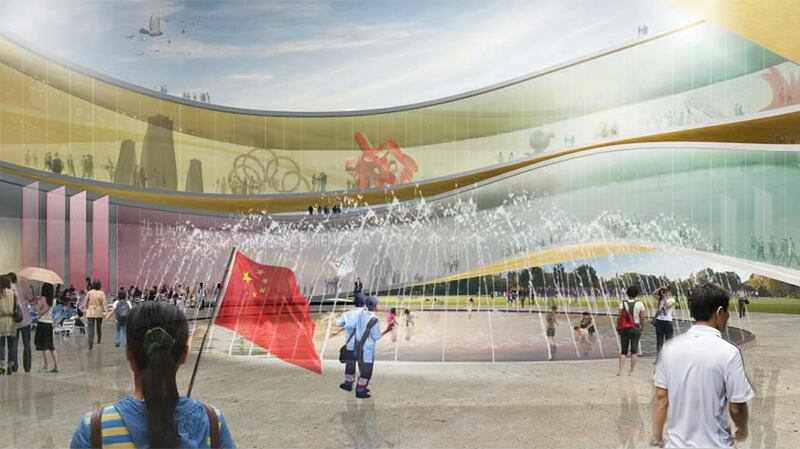 This ring will house exhibits that speak to the legacy of Juan Antonio Samaranch's work with the Olympic Committee and the impact it has had on China and the world. The second ring encloses a garden and focuses on the life and work of Juan Antonio Samaranch, serving as a memorial to his achievements. 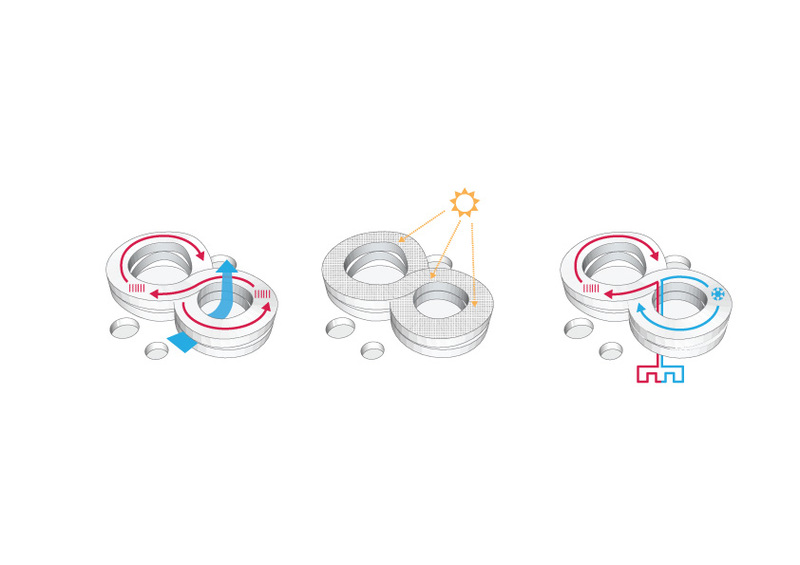 Together the two rings create a continuous loop taking the visitor through both the exhibition and memorial areas. 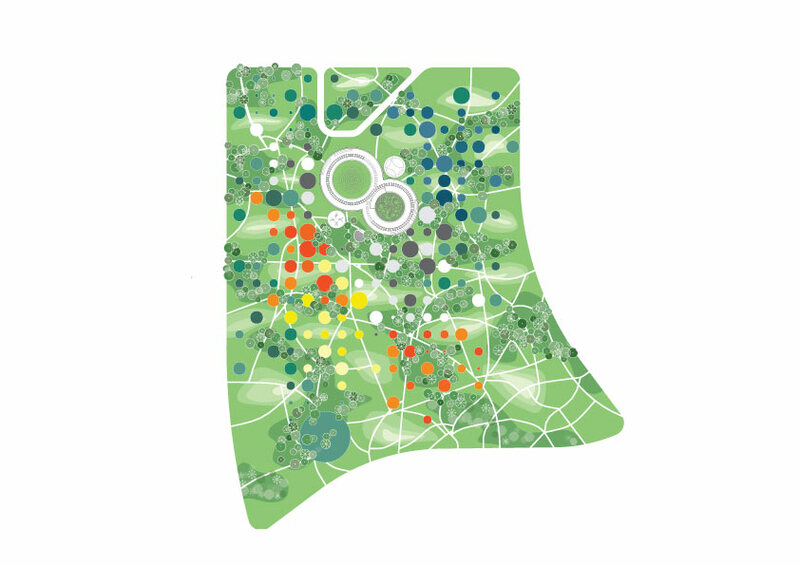 The building design incorporates green technologies, from the installation of energy-producing solar cells on the building's roof to climate control through geothermal heating and cooling. 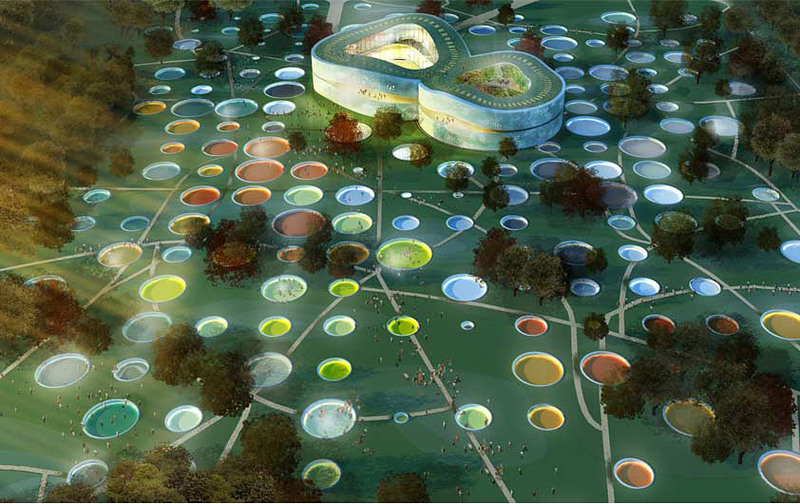 The surrounding 80,000 square meter (800,000 square foot) park features 204 circles representing each of the member countries of the International Olympic Committee. 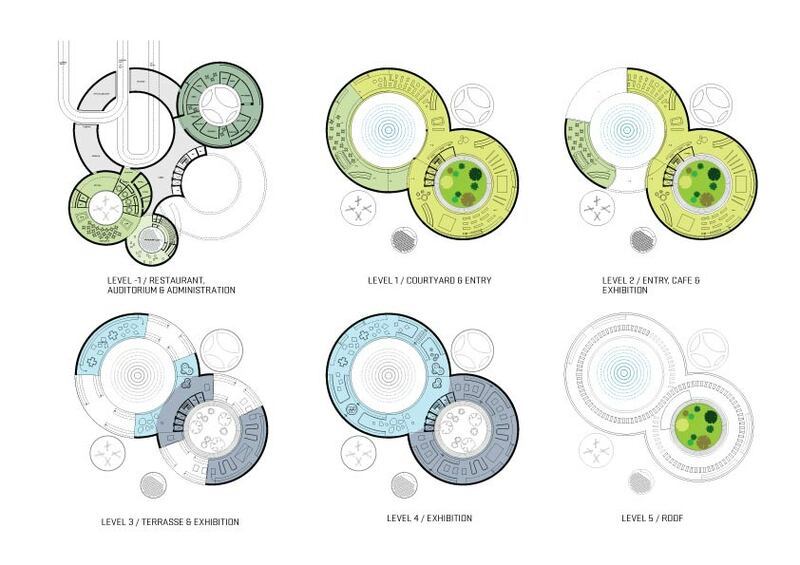 The circles contain different program and landscaping, creating a lush and varied park experience.